Welcome to our Parish Hall Building Fund Section . 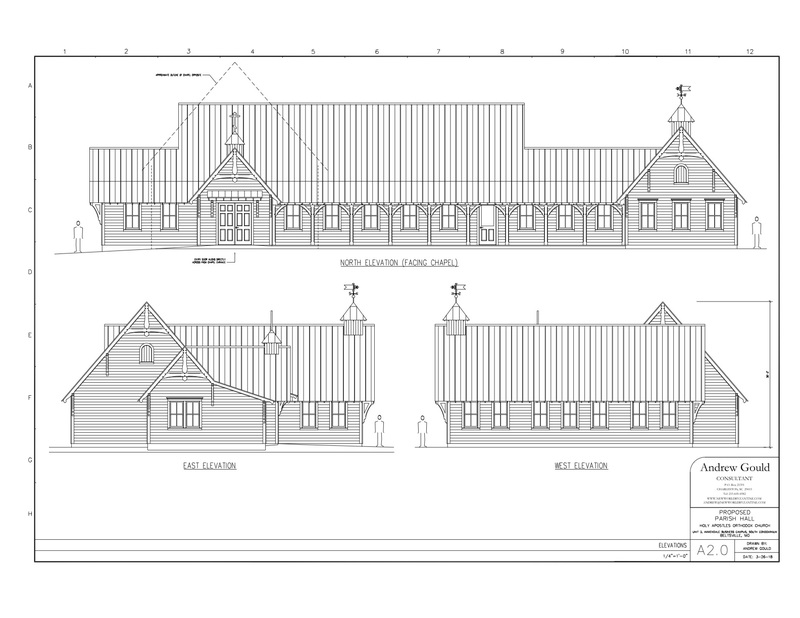 . .
Help support our Capital Campaign for our Parish Hall Building Project! Thanks to a generous benefactor, from now through Palm Sunday (April 21), every dollar donated will be matched, up to $5000, which mean we can raise $10,000 in a very short time! Scroll down to learn about our Parish Hall Project and our historic chapel which we are restoring and which will, by the grace of God, become our parish home. Your help is greatly appreciated! Please use our PayPal Donate Button below. Thank you! Our Parish Hall Building Fund Campaign is underway! In just four months in 2018, we raised the $50,000 Phase 1 total, required to secure the services of prominent Orhodox Architect Andrew Gould. We are now proceeding with the building project itself. On October 11, 2018, through a great miracle, we reached our initial goal: $50,000! Glory to God! Scroll down to learn more about our historic Chapel and campus, Andrew Gould's vision for the new Parish Hall, and much more. And thanks to PayPal you can safely donate online using your credit or debit card. Background: Our parish was founded in 2001 with the purpose of bringing the Gospel and Divine Services of the Russian Orthodox Church to the people of America in the English language. We are part of the Russian Orthodox Church Outside of Russia, under the protection of Metropolitan Hilarion of Eastern America and New York. We began our parish life in a little house in the woods, our paradise at the beginning. A year later, we moved to our present location, a 1200 square foot rented office park space. The Chapel and Campus: Through a providential gift in June of 2009, Holy Apostles Orthodox Church became the steward of an historic chapel in Beltsville, Maryland. Situated on two acres of beautiful grounds, in the midst of a parcel of land where President Grant once walked, the chapel is on the National Historic Register. This is our future parish home, which we hope to grow into a divine oasis and spiritual haven for the salvation of many. The Financial Side: We commissioned an in-depth study of the chapel by an historic restoration consultant, who projected the cost of restoration and renovation of the chapel to be approximately $1,000,000. (This does not include the interior beautification of the chapel.) Since the study, we have made significant progress, securing five grants from the Maryland National Capital Park and Planning Commission Historic Preservation Program, totaling about $250,000 towards the chapel restoration. In addition, our parishioners have put much hard work into the chapel since 2009. Before it was gifted to us, it had fallen into a state of disrepair, having been boarded up for about 50 years. Gift has been added to gift, and God’s providence has continued to bless our efforts. Now to we are ready to take the next step. 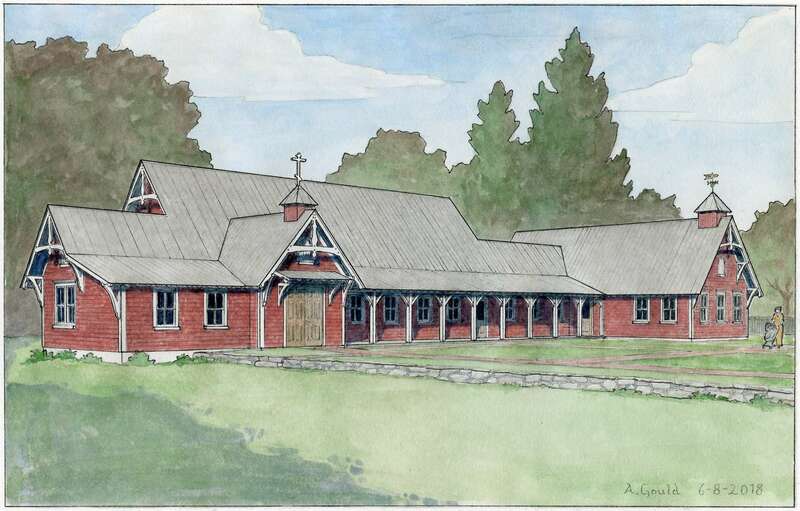 To enable the move to the historic chapel, our plan calls for building a new parish hall on the chapel campus, where we will hold the divine services while we continue to work on the restoration of the chapel. By building the parish hall and vacating our office park space, we will be able to apply that monthly rent amount to our building fund. 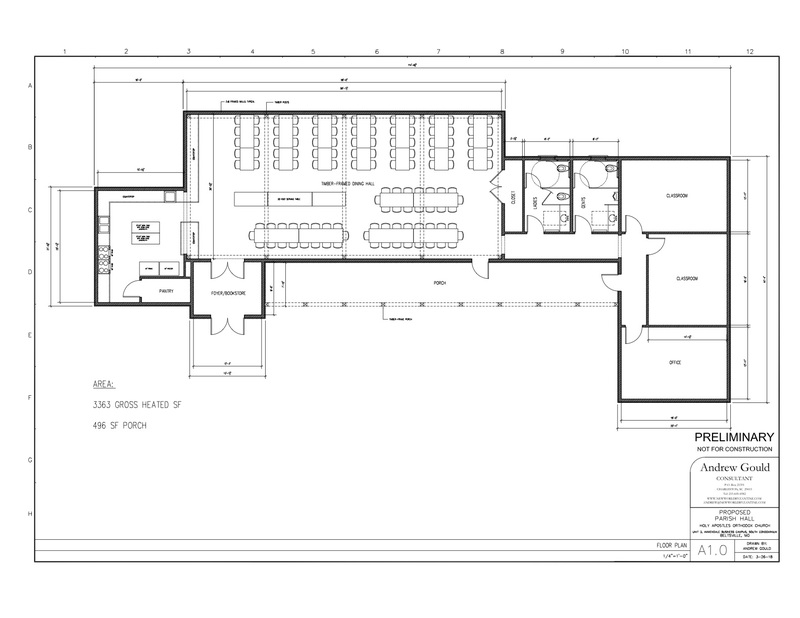 In addition to the chapel restoration, the cost of building the parish hall is estimated to be approximately $1,000,000. The Architect: We have secured the architectural design services of Andrew Gould, one of the leading Orthodox Christian architects in America. We have raised the $50,000 necessary to pay his design fees and those of a local architect of record. Having reached this initial goal, we have launched our Capital Campaign to build the parish hall. Through God’s grace, the history of America is being grafted onto the tree of Orthodoxy in Beltsville, Maryland. It is our heartfelt prayer to be able to build on this foundation that the Lord has laid for us, and to one day see the dedication of the newly restored historic chapel, as Holy Apostles Orthodox Church. We invite you to join us in fulfilling this vision, our paradise in Beltsville. View and download our Parish Hall Capital Campaign Flier. Architect Andrew Gould delivered a beautiful watercolor of his concept for our New Parish Hall, just in time for us to display at our Capital Fundraising Launch Event June 10. Scroll down to watch a 2-part video of Andrew Gould's talk to our parish in October 2017, where he discusses his vision for our new campus through designs integrated with the style of our historic Chapel, and for his initial architectural drawings for the Parish Hall design. This page will be the hub for our Parish Hall Building Project, and we invite you to explore and return often for regular updates. On Saturday, October 28, 2017, after the Divine Liturgy for the Departed, Orthodox architect Andrew Gould spoke to us about our historic chapel and property. He spent two days with us, studying the building and property. 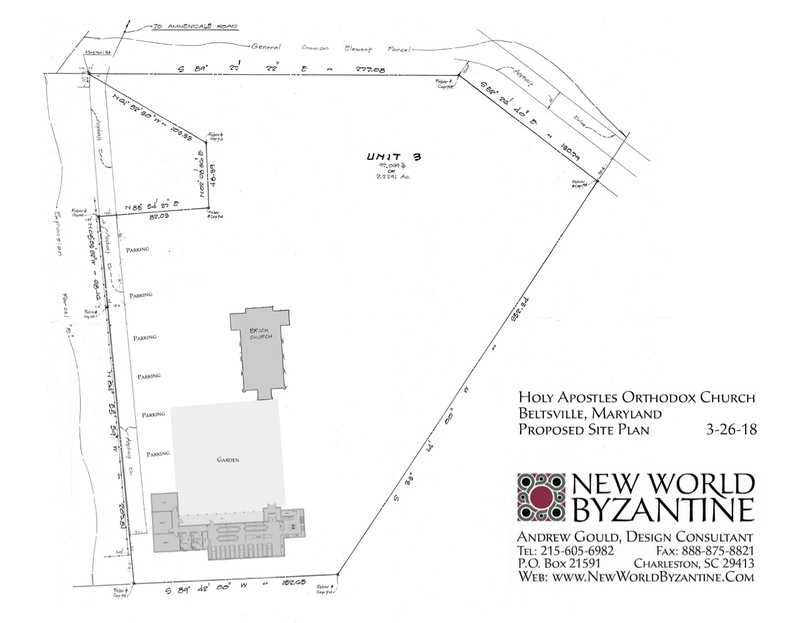 New World Byzantine - The company website of Andrew Gould and George Holt architecture and design. Read their 'About Us' page for their vision of reviving the traditional practice of apprenticeship in fostering a vibrant, new Orthodox culture rich in the liturgical arts. Orthodox Arts Journal - Also founded by Andrew Gould (in 2012), OAJ is a unique platform "for the promotion of traditional Orthodox liturgical arts. The Journal covers visual arts, music, liturgical ceremony and texts, and relevant art history and theory." See also their 'About' page, and explore the articles by Andrew Gould, which often feature his various Orthodox architectural projects, and may someday feature ours! Our treasurer, Mariya Petrenko, has written a most beautiful and profound letter, addressed to an Orthodox convert, from a cradle Orthodox Christian. With Mariya's permission, we are sharing it with you, here. We wish to extend our sincere thanks to Frederica Mathewes-Green for helping us launch our Capital Fundraising Campaign on June 10, 2018. 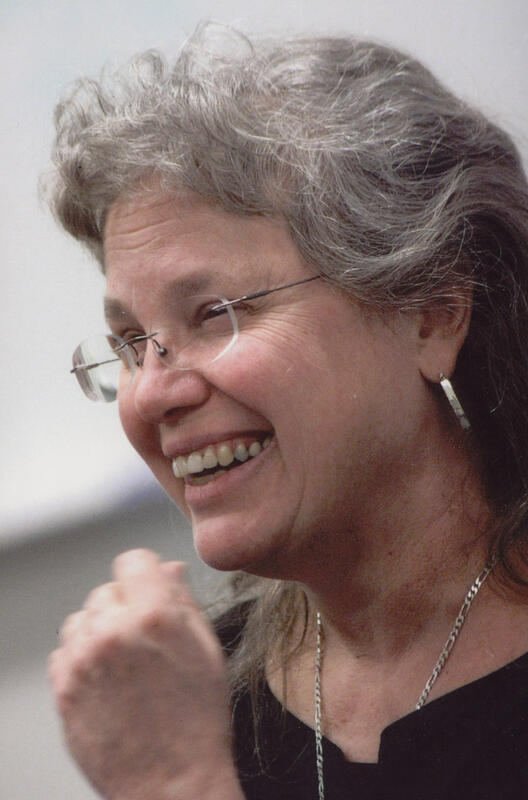 Frederica delivered an inspiring talk, 'Towards an Orthodox America', which perfectly resonated with our vision for our English-language Orthodox mission here in Beltsville, Maryland. To learn more, visit Frederica's website at Frederica.com.